Rich, elegant, timeless. 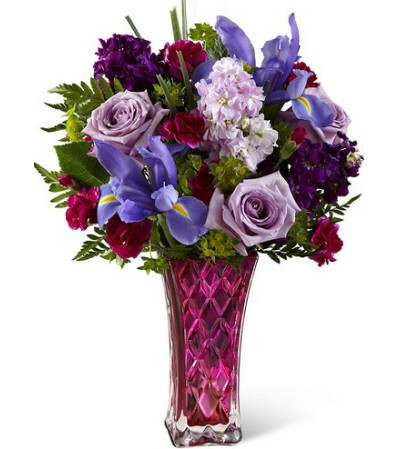 Iris, carnations, stock, roses, and daisy poms in deep saturated colors and contrasting pastels are hand-arranged in the stately, berry-colored glass flared vase with an all-over embossed diamond pattern. 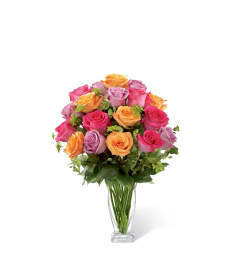 Your mother will certainly remember your thoughtfulness!